Malaysian human rights activist Irene Fernandez died this week. You can be forgiven for not hearing about this among all the news coming from this country about flight MH370, but it is significant nonetheless. She was important not just for who she was and what she stood for, but as an important marker in this country’s long and difficult road towards decency and fairness. Ms Fernandez was born shortly after the war and grew up in the heady days of Malaysia’s independence from Britain. Believing in the power of education to change lives and develop the young country she loved, she became a high school teacher, and would perhaps have remained so had the country continued in a humanitarian and positive direction. Unfortunately that was not to be the case. The ruling Barisan National Party or BNP was determined to maintain its hold on power and determined also to use its new found offshore oil to become a wealthy nation. Importing cheap migrant workers to work the rubber and oil plantations seemed like the way to go. Using the same policies that has seen the country blacklisted by all its surrounding neighbours for its abuse of domestics, Malaysia not only allowed widespread abuse of these migrant workers, but through their iron grip on the media forbade the reporting of that abuse. Irene Fernandez, a devout Catholic who cared deeply about the less fortunate, was herself the daughter of an Indian migrant, who had come to Malaysia seeking work in the rubber plantations. 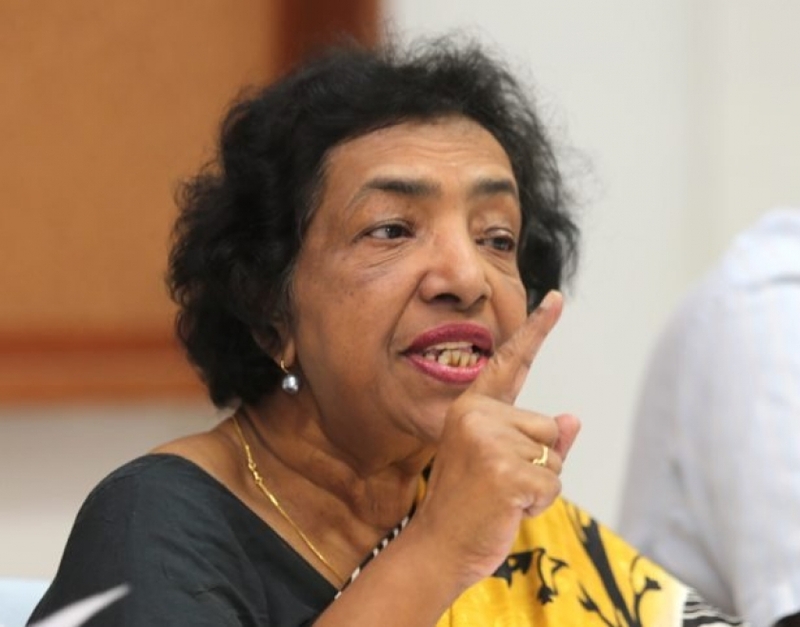 Sensitized to the issue from her own heritage, Fernandez became aware of the abuse of foreign migrant workers under BN rule and sought to relieve their distress. Her Christian compassion led her to social action, as all truly Christian conviction must, and setting aside her own educational ambitions, left teaching to form Tenaganita (Women’s Force). This group, formed in 1991, advocated for the rights of migrant workers, victims of domestic abuse, trafficking victims, refugees, and asylum seekers. In 1995 two investigative reporters from a local daily, barred by a craven press afraid of government reprisals, came to Ms Fernandez with a carefully detailed and researched story about the systematic physical and sexual abuse of migrant workers in detention camps. Malaysia has not yet signed the 1951 United Nations Agreement on the treatment of refugees, so migrants, although useful to the Malaysian economy, have no legal status in the country. Ms Fernandez agreed to help. Using her position as co-founder of Tenaganita as a platform, Fernandez began denouncing the policies and practices contained in the report. Local papers, using the formula “Ms Fernandez says…” were then able to report the news. Rather than address the issue of widespread migrant worker abuse that had begun drawing worldwide condemnation, Malaysia opted to persecute Ms Fernandez instead. Beginning a legal process that was to last 13 years, the BN government charged Ms Fernandez with “malicious publication of false news” under the draconian Printing Presses and Publications Act of 1984. Although eventually cleared by a judiciary as craven and supressed as the local media, the harrassment of Ms. Fernandez never abated. She stood for justice and the rights of the oppressed. Worse still she was a Christian. That is plenty of justification for a lifetime’s worth of persecution in Malaysia. Further afield the situation was different. Irene Fernandez was recognized internationally for her compassion for the oppressed and her gentle, yet firm resistance to authoritarian tyranny. She was the recipient of the Human Rights Watch award in 1996, the Amnesty International Award in 1998; the International PEN Award in 2000; the Jonathan Mann Award in 2004; and the Right Livelihood Award in 2005. She came to speak at our College last year in our Hear Us Out conference. Crippled and walking slowly with a cane, Irene Fernandez looked the least likely advocate for human decency. But once she was seated comfortably her kind features and warm smile led you irrevocably into her world of compassion. It was a world populated by the most despicable treatment of other human beings possible. Make no mistake; the government didn’t persecute Ms Fernandez so relentlessly for sport. She was clear-eyed, articulate and fearless. She took all the worst abuses that this country perpetrated upon its most vulnerable and held them up for all the world to see. No wonder the government hated her so. No wonder her death merited less than a hundred words on its official news organs. Her death, and the way this government has failed to honour her life, speak volumes about its true nature and its treatment of migrants, refugees, orphans and indigenous people. Irene Fernandez was one of Malaysia’s most admirable citizens; a champion of all that is decent and worth valuing in life. The fact that her own country so devalued her life is a stronger condemnation of this country than the nightly parade of misinformation and incompetence we see on the news regarding the disappearance of flight MH370. Those 239 passengers are not the only ones who have gone missing in this increasingly intolerant country. Now one who championed their plight has passed away as well. The country is a poorer place without her. Thanks for sharing this with us Steve & Pam. Irene Fernandez indeed had a life lived well and praise worthy – I appreciate your updates and the opportunity to understand more clearly what life is like there.